Is raw sewage being dumped into Chicago rivers right now? Whenever Chicago gets a lot of rain or there's a significant snowmelt, the Chicagoland water management agencies must dump excess wastewater into the lake and river in order to prevent flooding. It's because of practices like these that the city reversed Chicago River's flow in 1900 to avoid contaminating our drinking supply. As a result, a significant amount of 'nutrient pollution' from Chicago travels down the Illinois and Mississippi rivers and collects in the Gulf of Mexico in a dead zone roughly the size of New Hampshire. 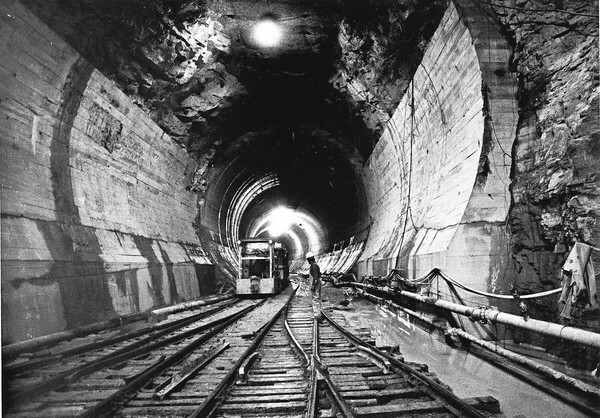 In 1975, the Metropolitan Water Reclamation District of Greater Chicago started building a massive Tunnel and Reservoir (dubbed TARP) to prevent this flooding, but is not scheduled to complete it until 2029. The US Environmental Protection Agency (EPA) has since sued to push this deadline forward, but as of Jan 9, 2014 a judge ruled that the 2029 deadline will stand. Additionally, in June 2013, the State of Illinois adopted water quality standards as part of a consent decree by the EPA to protect primary contact recreational uses for five segments of the Chicago and Calumet Rivers by 2017 - such as kayaking, canoeing, boating and jet and water skiing. At this time, however, much of Chicago's riverways remain unsafe to recreate in. 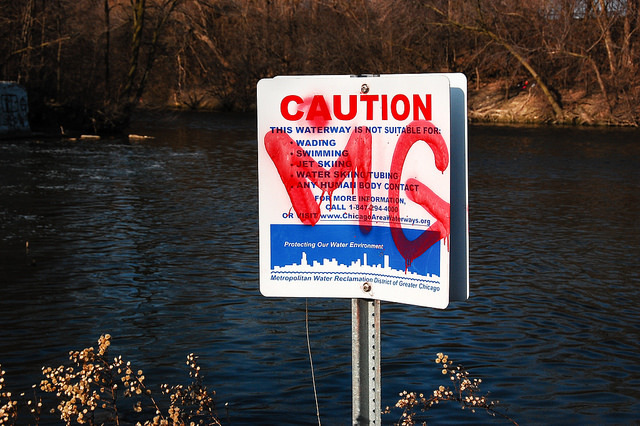 So for now, the Metropolitan Water Reclamation District will keep dumping raw sewage in to our rivers and we'll keep notifying citizens when it happens. 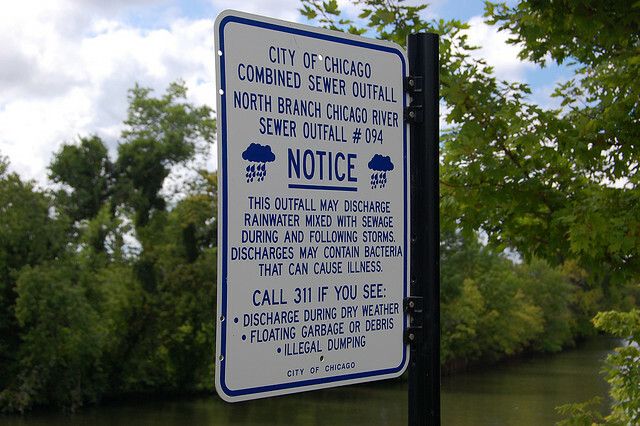 The Metropolitan Water Reclamation District of Greater Chicago offers email and text message notifications for Combined Sewer Overflow events. Fair warning, if you sign up for these notifications, you will get text messages in the middle of the night. As part of this website, we also send out automated tweets on the Open City Twitter account. Want to make something with this info? We made our scraped data available via a simple API. 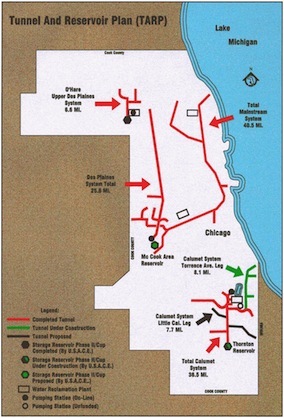 Data comes from scraping the Metropolitan Water Reclamation District of Greater Chicago portal on Combined Sewer Overflows. An Open City app by Scott Beslow, Derek Eder, Forest Gregg and Eric van Zanten | Pull requests welcome!